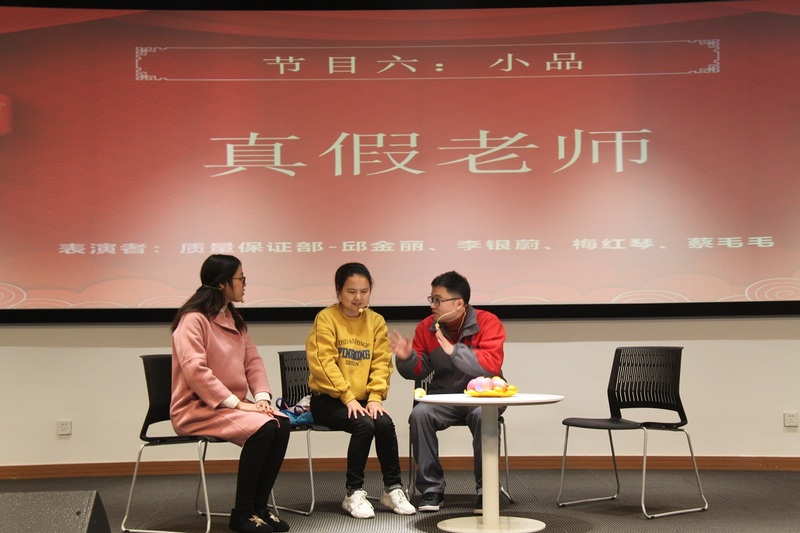 2018 Year-end Summary Meeting and 2019 New Year Party-Zhejiang Double Arrow Rubber Co., Ltd.
Time went on and new year came. 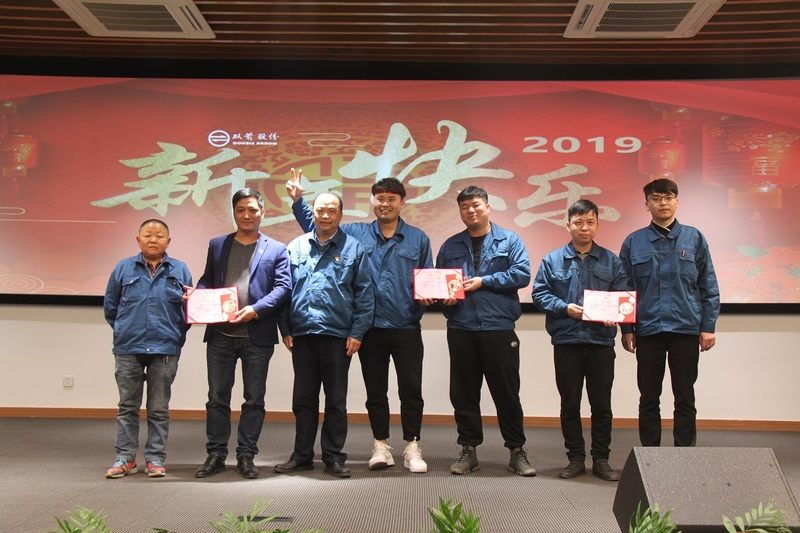 On January 28, 2019, Zhejiang Double Arrow Rubber Co., Ltd. held successfully held 2018 Year-end Summary Meeting and 2019 New Year Party. 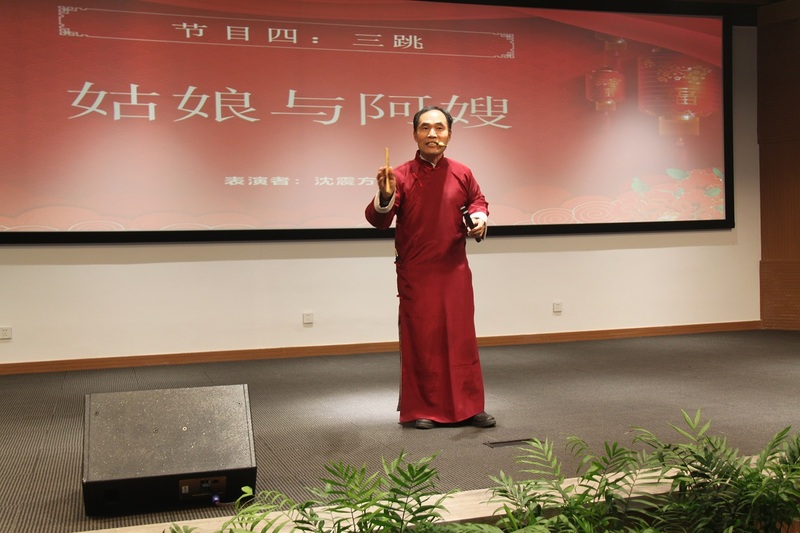 Double Arrow executives, group leaders, administrators, and advanced production workers, more than 400 staff gathering in the conference hall of Double Arrow Institute to summary the achievements Double Arrow has made in 2018 and plan the new development layout for 2019. 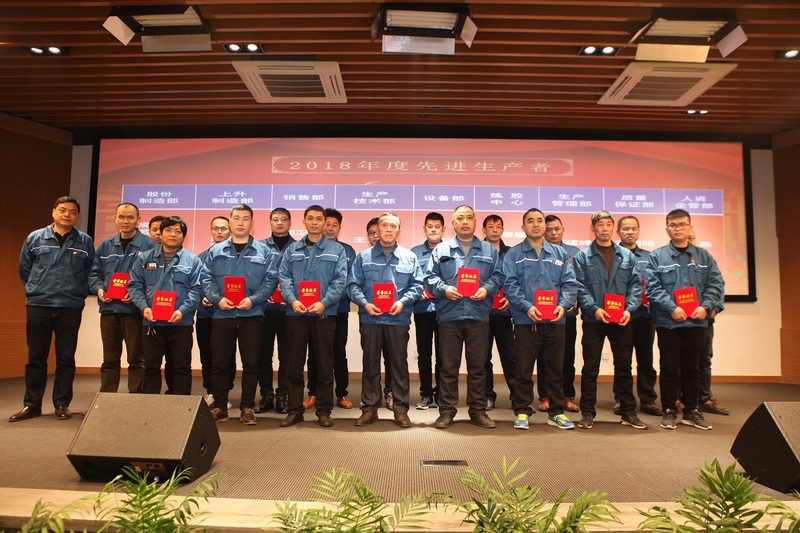 At the beginning of the meeting, company executives presented the Certificate of Honor for the 2018 advanced production workers, outstanding Party members, and winners in the Sixth Skills Competition and encouraged all staff to follow excellent members’ example, keeping high work enthusiasm, taking solid steps, and improving skills. 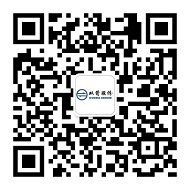 Later, Double Arrow chairman Mr. Shen Gengliang made the 2018 work report. After the meeting, each department performed wonderful shows like sketch, song, dance, cross talk and local folk art. All staff members enjoyed the grand annul party. In 2019, all the staff will still continue working hard with the spirit of integrity, forward-looking, innovation and refinement to build up a new chapter for Double Arrow.